Williamstown was a one-street town when it came to its commercial trade, though there were also a few stores on Water Street. The latter was dominated by a Sprague Electric facility which shut down about the time we entered Williams and only recently was converted into condos overlooking the Green River. 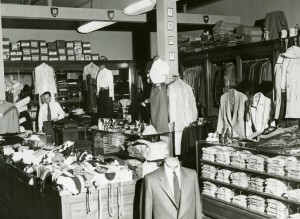 The earliest and fondest recollection of Spring Street was that you could receive instant credit at almost any store. All you had to do was provide a college address. You received bills in the mail. As you may recall, one of the non-academic requirements for graduation was that you must have paid off your debts on Spring Street. That was probably the first and only time we received what seemed to be unlimited credit without a review of your credit score or anything else for that matter. Sadly, Spring Street is now like any other retail location in America: cash or credit card. Spring Street had a typical small college atmosphere, with a New England look to it. At that time, there was two-way traffic. It is now one way, going from Main Street to the near the bottom of Spring Street. Almost none of the stores that existed on Spring Street during the time we were at Williams still exist there. The few exceptions include the Williams Shop (then called Goff’s Sports Center and still operated by the Goff family); the Williamstown National Bank (which subsequently was bought and sold several times and is now called TD Bank); the U.S. Post Office (which has not changed, but should); the College Theater (now called Images Theater); Kings Package Store (now called West’s Wine and Spirits) and St. Pierre’s Barber Shop (though it has moved from the top of Spring Street from the bottom). The Williams Coop, on the upper part of Spring Street, was closed many years ago, but a new Williams Bookstore was erected by the College in 2017 and sits at the far end of Spring Street. Spring Street today appears vibrant and containing an impressive range of stores and other establishments, many of which would have been nice to have fifty years ago! There are now five or six restaurants whereas only Gym Lunch and the Pizza House existed when we attended Williams. Among the new restaurants is Pappa Charlies, a sandwich deli whose creations are named after celebrities from the Williamstown Summer Theater. There is also a sandwich named after our own Jim Stearns, the Sluggo (hot turkey, melted munster cheese and celery salt). There are also several establishments serving alcohol (I hate to use the term, bar), including the Purple Pub and the Log. 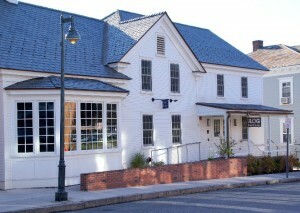 The latter is the former Alumni House, which was converted into a students’ only social facility in 1983 when the alumni center was moved to the Faculty Club at the intersection of Main and Park Streets. The Log now contains a public restaurant that is operated by a local restaurant, Hops and Vines. On Tuesday nights, the Log offers a Jazz Night with faculty and student musicians. Thursday night is Trivia Night and on Friday and Saturday nights, the Log offers a singer and/or a band. At the southerly end of Spring Street as it turns into Latham Street is Tunnel City Coffee, a popular coffee shop located in a relatively new building occupying the site of the former B&L Gulf Service Station. © 2017, All rights reserved, Lorem Dolor.